Battery power is seeing more and more demand these days with the rise in the number of portable devices people use these days. This calls for batteries that provide you with more power and those have the ability to stand more charge/discharge cycles. Thanks to Sony, this will now be a reality. Sony has launched this new range of batteries under the Fortelion series which combines a new technology - The Olivine-type Lithium iron phosphate as a cathode material along with Sony's proprietary particle design technology. According to a press release from Sony these batteries will have extended life span of approximately 2,000 charge-discharge cycles and an expected capacity retention of 80% even after this. 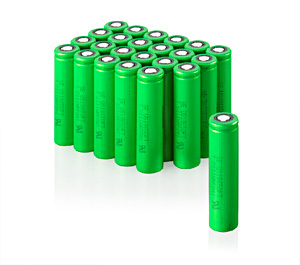 Another salient feature of this new range of batteries is it's ability to charge rapidly (99% charge completes in 30 minutes) and providing a stable discharge of voltage.